Some estimates say that up to 70% of people have experienced some level of trauma in their lives. The impact of trauma can be significant and can impact negatively on lots of areas of peoples lives. It can lead to anxiety, stress and depression. In this webinar we are going to look specifically at how NLP can help people to overcome Trauma and Phobias. This is the third webinar in this series. 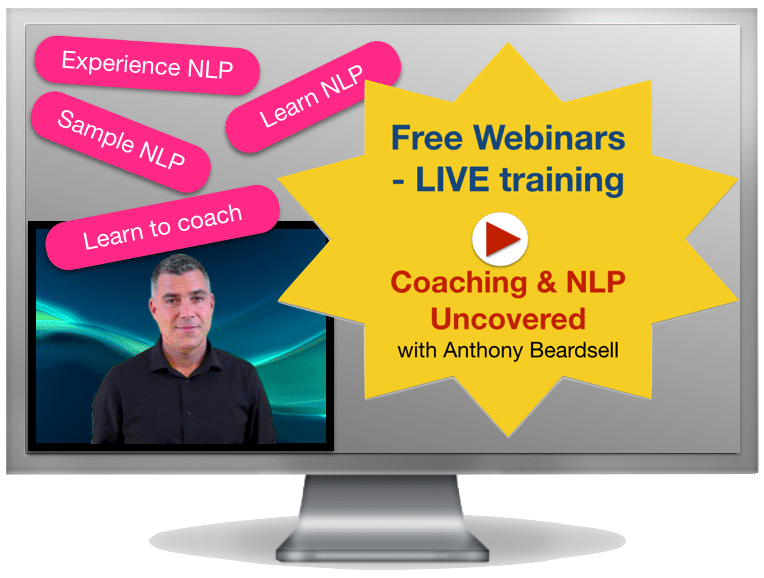 In the first two webinars we looked at some basics of NLP, talking about what it is and how it can help you. We looked at how it can help break bad habits and now I want to start getting really specific with how NLP can be of real value to us. 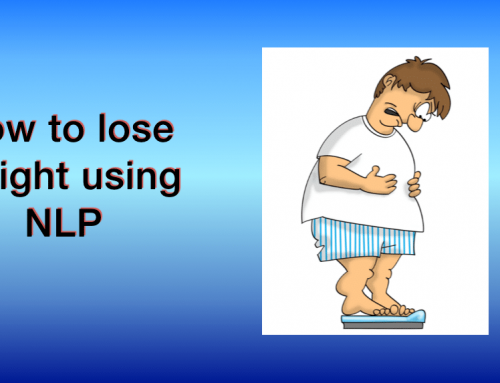 I want to look at real life problems and see how NLP can help us overcome them. So this time around we are going to be dealing with the subject of overcoming trauma and phobias. Gaining an understanding of trauma, what causes it and the consequences. Looking at how we construct our behaviours and the internal communication process that we use to create our perceptions. We delve into a bit of neuroscience to look at how we develop neural networks and the potential downward spiral into psychological problems (including trauma). We discover how our emotions can get blocked, causing negative consequences such as anger and panic attacks. 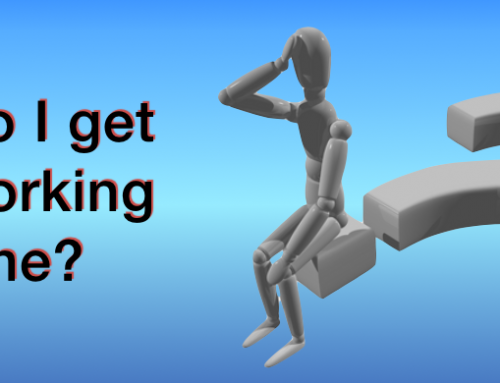 We then look at how to use NLP to release blocked and pent up negative emotions. How to use NLP to change our thought processes and our neural networks. How NLP can assist us in changing a memory in our past. How we can discover our timeline of memories and release negative emotions stored up in our past. How interventions like the NLP Swish pattern can help with resolving traumatic flashbacks. 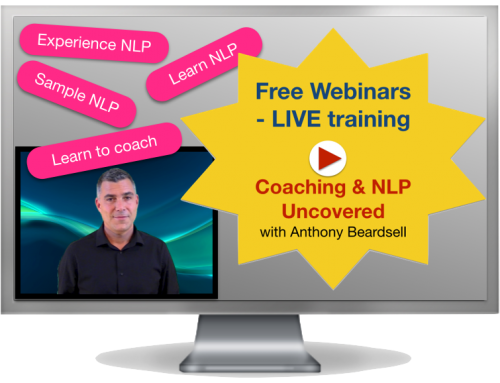 Now the things that cover in the webinar are about NLP and about coaching. You don’t need to have any experience of either in order to benefit from watching this webinar with me and if you have got experience in these fields then hopefully you will find it really useful as a reference point for you. 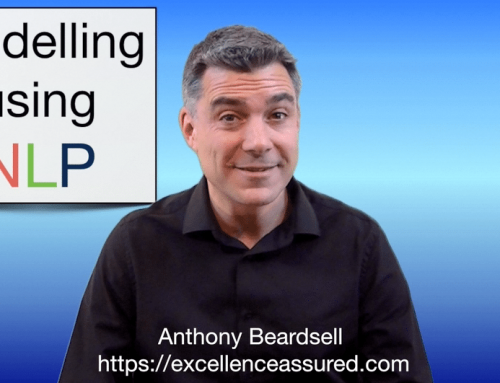 If you are using NLP (or you want to use NLP) with other people, then there are lots of things that we are going to discuss that will be able to use with your clients. Does that sound good? 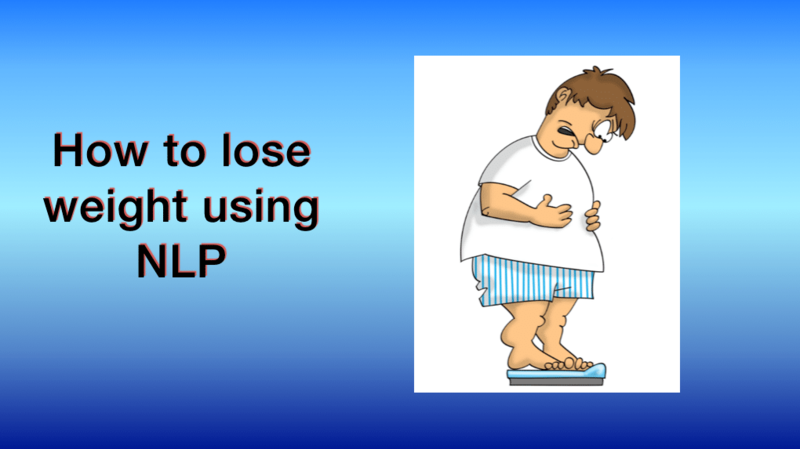 NLP is like a “How to manual” for change. Neuro Linguistic Programming. How we use the language of the brain to achieve our desired outcomes. I always talk about a three step change formula. Awareness – Choices – Change. Success and change always start with awareness. Awareness of our problems, acknowledgement that we want to change, awareness of a desire to achieve something. NLP provides us with incites into our thinking and a series of processes and techniques that anyone can learn to use for themselves and teach other in order to generate choices and get the change in their lives that they need to gain happiness, success and well-being. We are going to discuss some of these incites and some of these processes and techniques in this webinar today. So how can NLP help with overcoming trauma & phobias. Well, I’ve been using NLP for over 20 years now so I’ve got lots of examples of using NLP with other people to help them overcome trauma from their past and phobias. 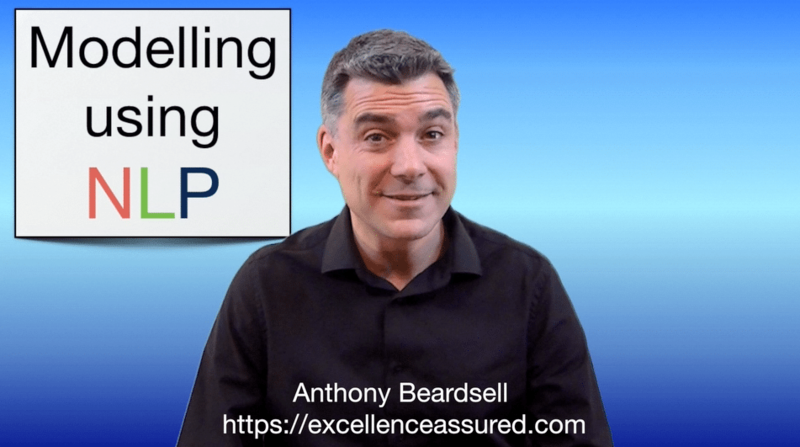 NLP isn’t just about therapy because the same principles that we use to overcome problems can also be applied to creating excellence and creating success. NLP is used in various therapeutic relationships nowadays, in fact NLP is very similar to CBT or Cognitive Behavioural Therapy in many ways. I’ve used NLP to help me with my phobia around dogs and wasps. Working with others I have used NLP, amongst other thing to help them overcome trauma associated with sexual abuse as a child, fear of flying and trauma associated with abuse within relationships. Trauma, which means “an injury” or “wound” in Greek, is often the result of an overwhelming amount of stress that causes us to lose our ability to cope and integrate or process the emotions involved with that experience. A traumatic event can involve one event, or several events that leaves people with the sense of being overwhelmed which can be delayed by weeks, years, or even decades as the person struggles to cope and deal with the immediate circumstances. This can eventually lead to serious, long-term negative consequences. The definition of trauma differs among individuals by their subjective experiences, not the objective facts. People will react to similar events differently. In other words, not all people who experience a potentially traumatic event will actually become psychologically traumatized. This difference in risk rate can be attributed to protective factors some individuals may have that enable them to cope with trauma. Some examples are mild exposure to stress early in life, resilience characteristics, and active seeking of help. Traumatic experiences often involve some kind of physical trauma that threatens survival and sense of security. Even a threat or a perception of this can bring about trauma. Typical causes of psychological trauma can include harassment, embarrassment, sexual abuse, employment discrimination, police brutality, bullying, domestic violence, indoctrination, being the victim of an alcoholic parent, the threat of either, or the witnessing of either, particularly in childhood, life-threatening medical conditions, medication-induced trauma. Some theories and studies suggest trauma can increase the risk of psychological disorders including post traumatic stress disorder (PTSD), depression, and drug and alcohol abuse. 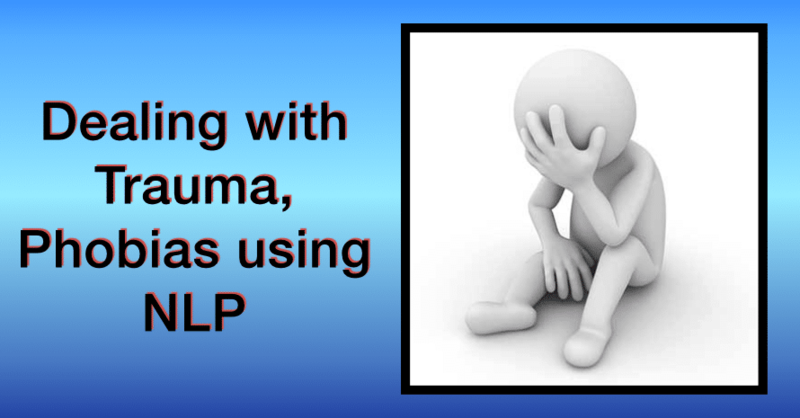 Watch the video now and learn how NLP can be used to help people deal with trauma.